"To go wherever we are needed and do whatever comes to hand." Volunteers of America of Illinois partners with the people we serve to create transformational and lasting change in their lives. Volunteers of America is a national nonprofit organization providing local human service programs and the opportunity for individual and community involvement. The words "there are no limits to caring" represent an enduring philosophy of service that spans three centuries. The founders’(pictured) pledge "to go wherever we are needed and do whatever comes to hand” still guides the organization’s growth and development efforts today, more than 115 years since the organization’s birth in 1896. 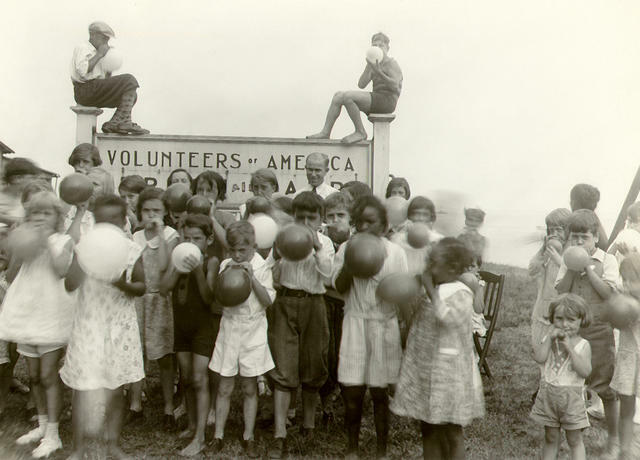 The name Volunteers of America was selected when the organization was founded over 115 years ago. It signified that the organization was comprised of people voluntarily choosing to help others. In those days, a volunteer was anyone who was committed to a mission or cause. Since its earliest days, when Volunteers of America brought food, medicine and comfort to people not served by other charities, volunteering has been instrumental in every aspect of the organization's ministry of service. Today, our services are delivered through a partnership of professional staff, volunteers and other community supporters. 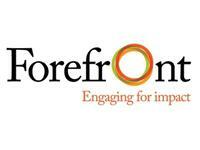 Forefront is the nation’s only statewide (Illinois) membership association for nonprofits, grantmakers, public agencies, advisors, and our allies. We provide education, advocacy, thought leadership, and facilitate collective action around issues that are important to our Members and to the sector. 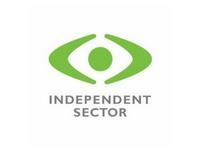 Independent Sector is the only national membership organization that brings together a diverse set of nonprofits, foundations, and corporations to advance the common good. 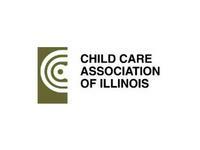 Child Care Association of Illinois. Our mission is to be the premier Illinois association that shapes practices and policies for the benefit of children, adolescents, and the families and the organizations that serve them. The ILLINOIS COLLABORATION ON YOUTH (ICOY) shapes practice and policies and builds the capacity of agencies so that children, youth and families are safe, healthy, and on the path to maximizing their potential. In 2017, ICOY merged with the Child Care Association of Illinois to become the largest provider voice for children, youth and families in Illinois. 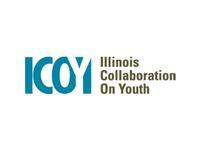 As a leader in the field, ICOY works proactively to improve outcomes for young people; most recently, ICOY led the Pay Now Illinois Coalition of social services providers who filed suit seeking payment for work completed under hundreds of unpaid state contracts. 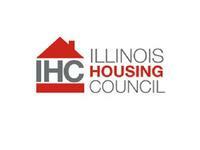 The Illinois Housing Council is a state-wide membership organization, created to promote the stabilization of communities through the production and preservation of affordable housing. IHC advances its mission through education, information and constructive relationships with state, local and federal officials. Founded in 2002, IHC is comprised of approximately 250 organizations involved in all aspects of affordable housing. IHC members include both non-profit and private companies including owners, property managers, developers, financial institutions, investors, builders, subcontractors, local government, accountants, civic organizations, market analysts and consultants. IHC is a 501(c)(4) non-profit organization. PsychArmor Institute is a non-profit that provides free education and support for all Americans to engage effectively with the military community. 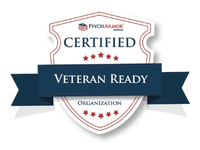 PsychArmor recruits nationally recognized subject matter experts to create and deliver online courses about issues relevant to the military and Veteran communities.